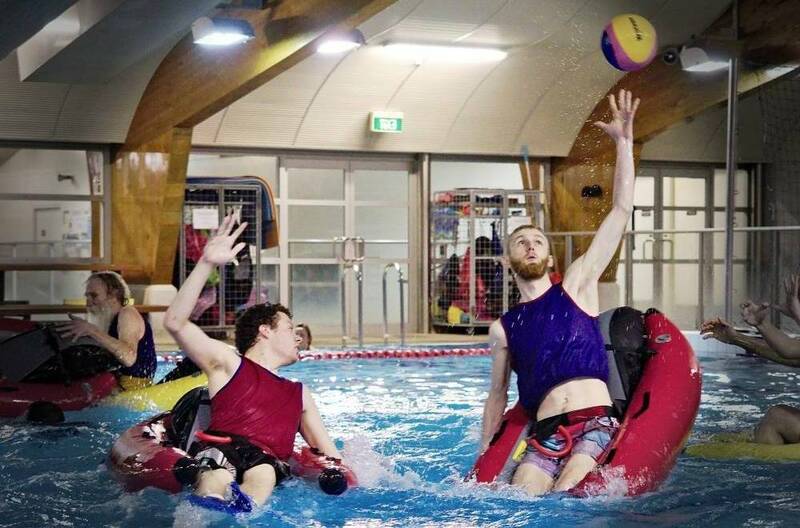 RiverBug Games are recreational events using professional-grade one-man inflatable cata-rafts in which participants sit and propel themselves around indoor pools using swim-fins on their feet and webbed gloves on their hands. We offer games like RiverBug-Polo and RiverBug-Lacrosse. As these initial Games are not competitive, individuals of any age and skill-level may register and participate — no experience is required. You are invited to come and play one of our RiverBug Games starting in January 2017 and to help us introduce this sport to Canada in its 150th year since Confederation. To start, we will be hosting two different games every night at the University of Guelph. New evenings and locations are planned for the near future. 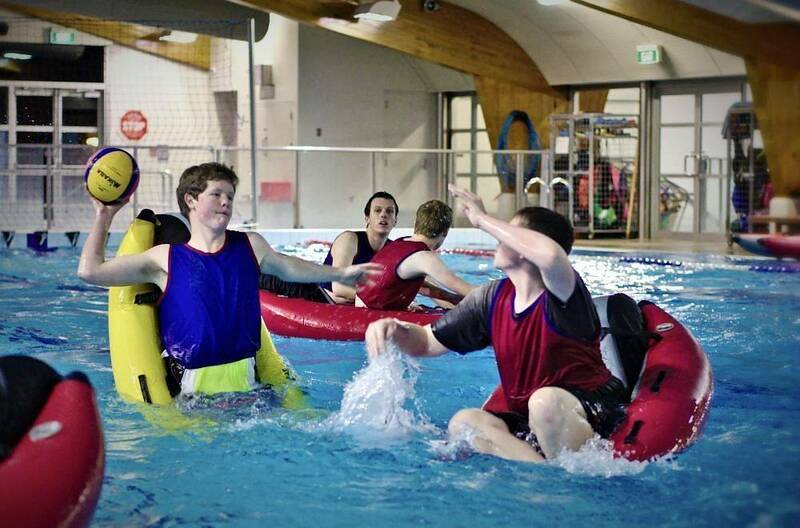 We are proud to announce the advent of RiverBug Games to swimming pools in Wellington-Waterloo this winter. Thanks to the kind people at the BugSports Club of New Zealand and RiverBug.me of Austria, Elora Raft Rides will be the first commercial outfit in Canada to use one-man inflatable rafts, called RiverBugs, in such recreational games as RiverBug-Polo, RiverBug-Lacrosse, RiverBug-Rugby and RiverBug-Frisbee. With plans to use our one-man inflatable cata-rafts in summers on rivers around Elora, Ontario, Elora Raft Rides will also be the first company ever to offer commercial white-water RiverBug trips in Canada in 2017. For our debut RiverBug Games at the University of Guelph in the Winter Term of 2017, we are offering FREE GAMES to the Public on the first Thursday of each month and we will be inviting various individuals and organizations to play by invitation only for no cost at our Invitational Games staged on the last Thursday of each month. Check our Game Schedule for dates and times.